The human body is made up of many elements, and when we fall ill, we want to be recognized for more than our symptoms. Ali Horowitz advocates for individuals who are seeking more from their health and wellness care. A passion of Ali’s is to fill in the gaps in the public’s general education about health and wellness. “I like to let people know that there are alternatives in healthcare. We’re all individualized, and so should our medicine be. 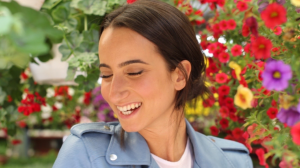 As she begins her work as a naturopath, Ali looks forward to empowering people to make informed healthcare decisions by providing information to the public that is accessible and enlightening. Ali Horowitz grew up in Montreal and moved to Toronto three years ago. She is pursuing a career in the field of naturopathic medicine at the Canadian College of Naturopathic Medicine. She hopes to further educate the general public on their health options through social media, workshops and events. Give Ali’s Instagram page a follow, or send her an email to learn more.